Official Selection of Guild Hall's John Drew Theater Lab! Official Selection of the 2017 NY Summerfest! ​and Winner of Three Fruitie Awards! 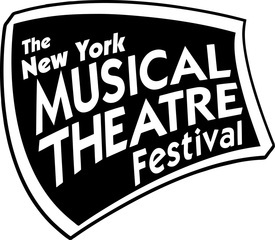 Official Selection of the 2014 New York Musical Theatre Festival! 1/8/18 - Greetings from East Hampton, where a reading of "Rachel" is being presented as part of Guild Hall's John Drew Theater Lab series! 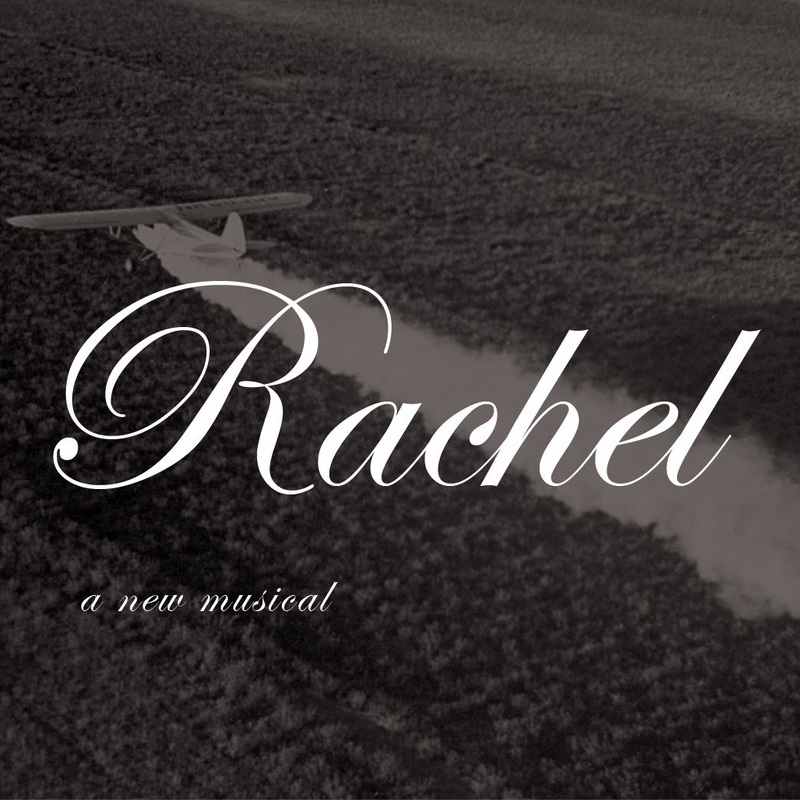 "Rachel" will also be presented as a benefit in Montclair, NJ, with Theatre 167. Click here to get your tickets! 8/3/17 - Less than two weeks until our latest production at NY Summerfest! Read more about our incredible team, and get your tickets now! 2/17/16 - We are so excited and honored to announce that "Rachel" is the recipient of three "Fruitie" awards from the Fresh Fruit Festival - Outstanding Featured Performance for Roberto Araujo (Julius Hyman) and Lipica Shah (Marie Rodell), and Outstanding Play! 7/26/15 - Thank you so much to our amazing cast, creative team, the Fresh Fruit Festival, and to everyone who came out to support our shows last week! Three incredible performances - Saturday was standing room only! 7/21/15 - What a spectacular opening night last night! Thank you so much to everyone who came out - it was a great audience! Two more chances to see Rachel at the Fresh Fruit Festival - get your tickets now! 6/29/15 - Tickets for our Fresh Fruit Festival production are now on sale! Get yours today at https://web.ovationtix.com/trs/cal/527. Don't miss out on this incredible production! 6/18/15 - Our show is fully cast and rehearsals have begun! We had an amazing read-through today, and are looking forward to our first music rehearsal tomorrow! Check back soon to read about our supremely talented cast! 6/2/15 - One day of auditions down, one more to go! We saw dozens of incredibly talented actors yesterday, and are looking forward to another successful day tomorrow. 5/29/15 - Please visit our IndieGoGo campaign to find out how you can support our show in it's first full production! We can't do it without your help and support. 5/27/15 - We are so excited and honored to announce, on Rachel Carson's 108th birthday, that our show was selected as part of the Fresh Fruit Festival! We'll be mounting our first full production of the work this July! 5/19/15 - Check out our striking new logo, designed by Angad Thakuri! And stay tuned for some exciting news as well! 9/20/14 - Check out some of our incredible demos! Please visit our SoundCloud page to listen - more will be posted in the next two weeks! 8/2/14 - Our first day of demo recording was a huge success! Check out our updated Media page to see photos from the session! 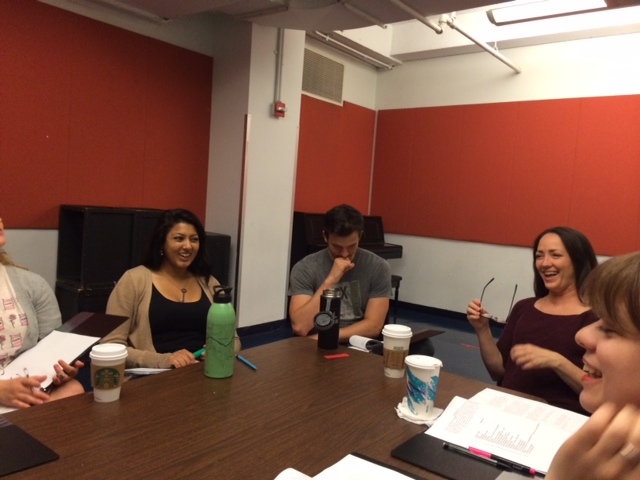 7/13/14 - Our final reading at NYMF was a huge success! Endless thanks to our entire cast and production team, as well as to each and every one of our donors for helping to make this possible. More rewrites are already in the works - please continue to show your support for our show, like us on Facebook, follow us on Twitter, and stay updated with our journey. This is only the beginning! 7/8/14 - We can't say thank you enough - for our incredibly talented cast, for our phenomenal production team, and for the support and feedback from our audience. Our first two readings were spectacular! There's still one more reading on Saturday, July 12th at 8:00 - and expect a few more revisions and a new song by then! 7/7/14 - Our first two readings are today, and we couldn't be more thrilled! There are still a few tickets left for our performances at The Studio Theatre - Theatre Row today at 3:30 and 7:00 - if you don't have a ticket already, stop by the box office to pick one up before they go! 7/4/14 - So happy to announce that "Rachel" is a recipient of a grant from the Anna Sosenko Assist Trust! Just three days until opening night - get excited! 6/24/14 - Please visit our Bios page to read about more of our incredible cast, including Tamra Hayden as Dorothy Freeman! 6/23/14 - We are so excited to announce that Laurie Wells will be playing Rachel Carson in our readings! Check out our Bios page for more information, and keep checking for more info about the rest of our fabulous cast! 6/4/14 - "Rachel" has been featured in the Princeton Packet! Check out the article here. 5/29/14 - The script has been completely rewritten, the casting process has begun, and we are preparing for an exciting table read in two weeks! But we can't do it all without your help. Please help us reach $6,000 by our table read on June 14th. Visit our Donate page to explore our incentives and make a tax-deductible donation to our production! 5/27/14 - Happy 107th Birthday Rachel Carson! And thank you to Google for featuring her on the Google Doodle today! 5/27/14 - Our staged readings will take place in the Studio Theatre at Theatre Row on 42nd Street, just a few short blocks from Times Square! There will be two readings on Monday, July 7 at 4:00 PM and 8:00 PM, and a final reading on Saturday, July 12 at 8:00 PM. Check out the exciting venue here! 5/15/14 - We are honored to announce that Julie Kramer will be directing our readings at the New York Musical Theatre Festival this summer! Julie has directed dozens of plays and musicals in New York City and around the world, including her own adaptation of Rona Jaffe's THE BEST OF EVERYTHING, which was a New York Times and Time Out Critics' Pick and named one of the Ten Best Plays of 2012 in The Huffington Post. We are so excited to work with her on developing our show! Please visit our Bios page to read more about Julie. 4/15/14 - We need to raise $8,000 to cover the cost of a director, actors, rehearsal space in the city, program and poster making, and other show expenses. Please visit our Donate page and contribute what you can - every little bit helps! Your support will help us bring our show to the next level - a successful staged reading this year could lead to full productions in the future! 4/14/14 - We are so excited to announce that, after four years of research, writing, revising, and workshopping, Always, Rachel will be presented as a staged reading at NYMF's 2014 festival! Check out the press release in Playbill here!